Finnriver Farm & Cidery and Eaglemount Cider will pour their ciders at the Cider Summit N.W. in Seattle on Saturday, September 10, 2011. Artisanal Ciders from around the world will be represented at the South Lake Union Discovery Center from 11 a.m. to 7 p.m. Come try them all! Finnriver Cidery and Eaglemount Cider will be at the Seattle Cider Summit. No two ciders are alike. The upcoming Cider Summit is a unique opportunity to taste ciders from Washington State, Oregon, California, Michigan, British Columbia, France, and the United Kingdom. You’re sure to find distinct differences, and your sure to want to bring a few bottles home with you. The good news is, you can. Owners and cidermakers will guide guests through the samplings, which will be poured in 3-ounce and 6-ounce portions. This event is for folks 21 years of age and older. Dogs are welcome. Alan Hager and James Miller From Portland: 12 – 2 p.m.
Drummerboy, featuring Kimball Conant on guitar: 2 – 4 p.m.
Drummerboy, featuring Eric “Two Scoops” Moore on piano: 4- 6 p.m.
To purchase tickets and learn more information about this event, please visit Cider Summit Seattle. 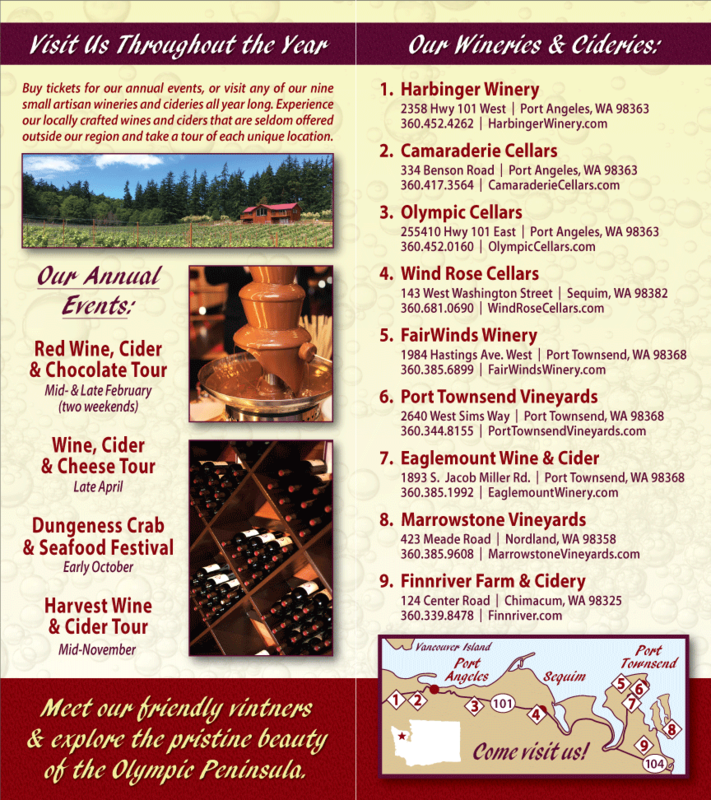 Please see Eaglemount Cider and Finnriver Farm & Cidery for more information about these Olympic Peninsula, Washington State Cideries.